Move over birds and bees… It’s “Baes” and “Beaus” now!! The Dad then goes on to explain in the most sanskariest way possible to his innocent (faced) son the true story of how he was born. This conversation in the olden times was referred to as the “Birds and Bees” talk. There were cute rhymes and songs about it which the Mama would usually sing to her babies. But! All this changed and how!! 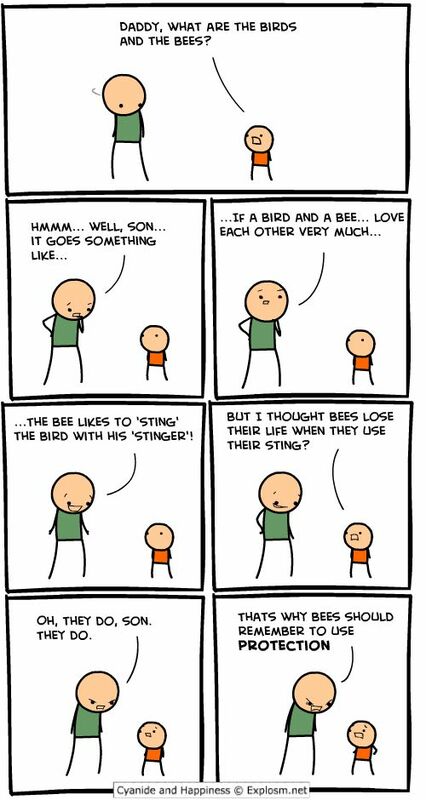 Come the 21st century, the computers and mobiles taught the kids all they needed to know about the birds and the bees and basically the entire wildlife. Seeing 5th standard girls these days, with their high heels and their Prada bags and their iPhones makes me weep when I look at my own pictures in ribbons and Bata shoes with a lunch basket in my hand. And no, I am not 40, I’m just 22. My point is so much has changed so fast. Maybe this is what our parents feel like. You see 6th std. girls updating their statuses with things like #thanx fuh da suhprise #luv uh beau #3 yr anniversary; and I am stunned. I’ m like you are in the 6th std. When did you start dating? Class 3? Apart from their Prada bag, their man, who is a boy no older than 16, is their new accessory. It took me my entire school life to make 3 best friends who I’m still close to. But these days, people find their #mynewbae #partnerincrime xoxo, in 3 days at some party. They talk about a forever when they don’t know what is going to happen next week. 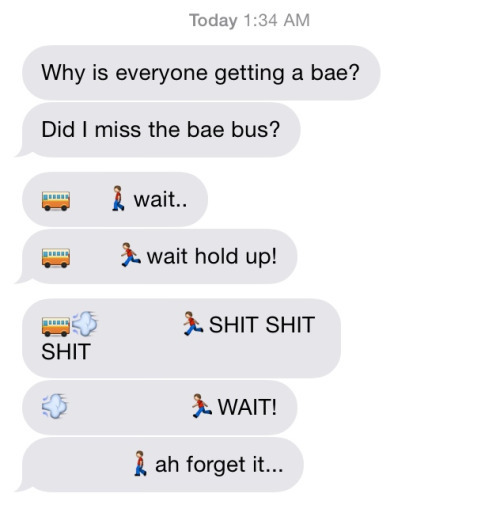 The bae and beau syndrome has grown to the extent that it has now overthrown the #BFF. Just imagine!! But, really, who am I to say all of this. I am just 22, still a kid myself, most would say. I am part of the entire brigade. But, let me just say this. I had a childhood where i played ‘out-out’ with my friends, and lived in times when wearing the school skirt a little above the usual line would attract disapproving glares from my classmates and where people my age would fight over lunchboxes, not each other’s beaus. I am 22, and I’m saying, kids, don’t fall in love, because it isn’t love. Don’t click pictures for social websites. Click them for yourself. Don’t declare every next girl as your bae, reserve that spot for someone who is your true friend. Spend more time getting hurt in the playground than getting your heart broken. Because, one day, when you walk in a playground, and you read the sign “Only below 12 allowed”, you will realize that it’s too late now. ← The extinction of the ‘Spacebar’ & the birth of the #hashtag!